BeatBox Rox is an energising, speed-training vocal percussion workshop that will unite your team. The team building exercise will entertain, invigorate and involve everyone right from the start! You can be sure that this fun and hilarious energiser will inject energy and vitality into any conference programme, meeting or workshop. 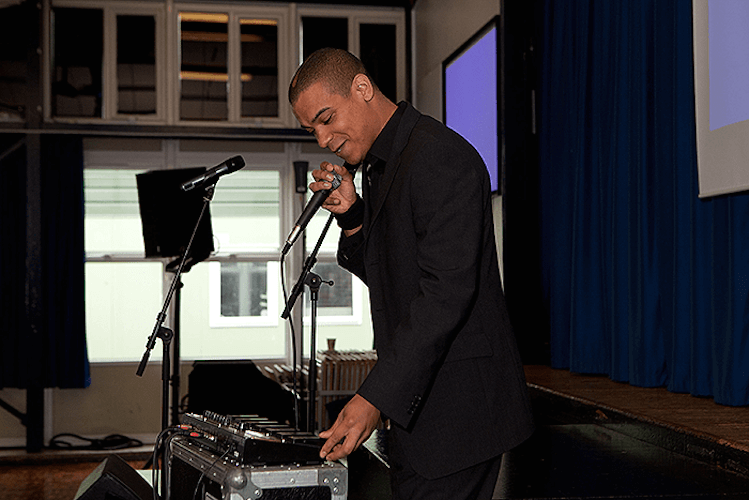 BeatBox Rox is effortless to set up in a variety of formats. We can tailor it as a 15 minutes icebreaker for a multitude of delegates, an energiser to bring life to any conference programme, or a rewarding experience for a smaller workshop. Whatever the agenda, BeatBox Rox is a fun and motivating workshop that has power to stimulate creativity, and unite a team. We partner with Bluehat Group in the UK, and Catalyst Global internationally.